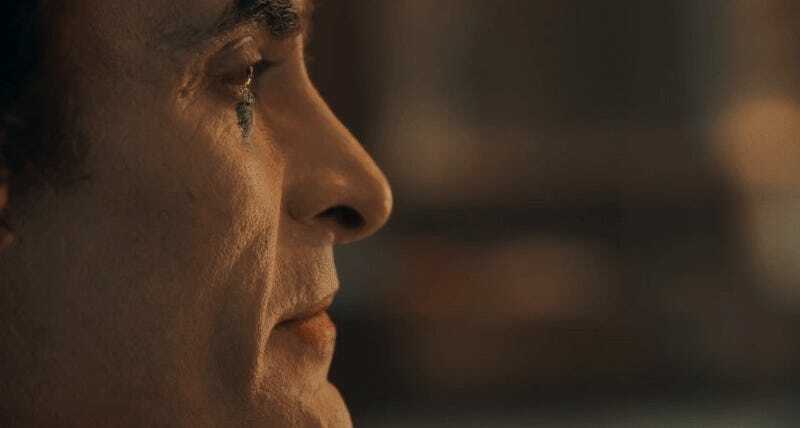 This is, really, outside of a few pictures, our first tangible look at just what Joker is going for...and even then, we still don’t know much, like how the film’s take on the Wayne family will factor into Arthur’s downfall, although we do get some brief glimpses, as well as a very fleeting look at Zazie Beetz’s mysterious character. But this trailer is more about establishing a tone for Joker than it is really delving into plot—about how an increasingly degrading Gotham city warps one man into one of its most infamous villains. We’ll no doubt get a lot more on Joker (which also stars Robert De Niro, Frances Conroy, Brett Cullen, and Marc Maron) soon—after all, it’s hitting theaters in just six months, on October 4.